This site is under construction and will be updated regularly. If you have any Carter or Hulme photos or information that you would like to share or contribute, please contact us at postmaster@sedgwickresearch.com. Thank you! 1. John William Carter (AFN: 1FFS-W7), the son of John (AFN: 1FFS-ZK) and Hannah Elizabeth Billinge Carter (AFN: 1FFT-0P), was born May 11, 1890, at Heathylee in Longnor, Staffordshire, England. 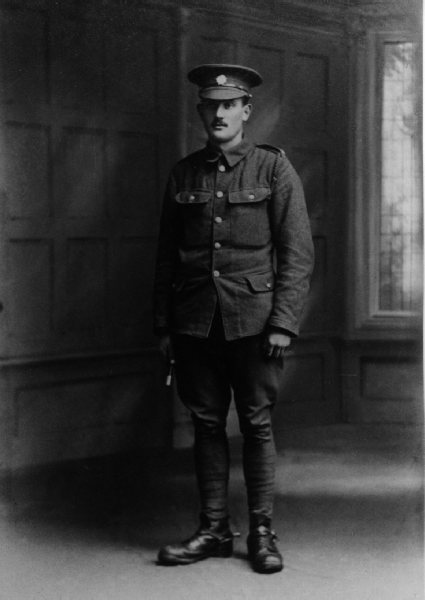 John served in the British military during World War I. He married Alice Hulme (AFN: 1FFS-XD), the daughter of William Amos and Dinah Brown Hulme, at St. Chad's Church in Longsdon, Staffordshire, England, on June 25, 1919. 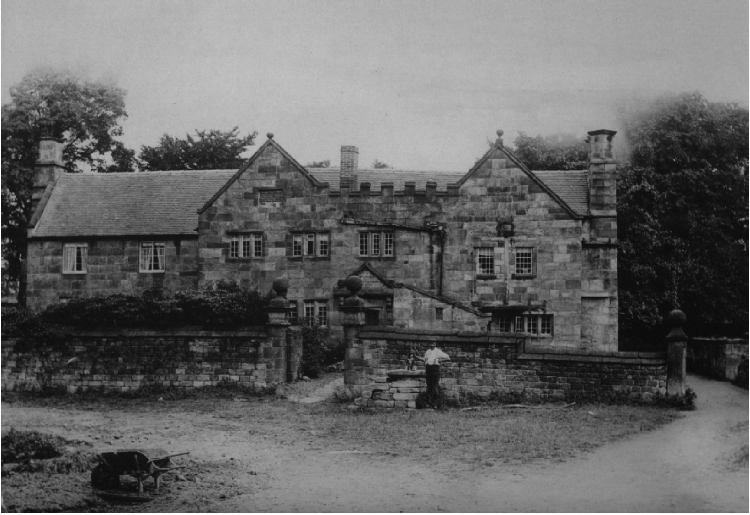 John and Alice lived for a time at Stanlowe in Longsdon, Staffordshire, England. They had three children. John William died April 15, 1973 in Leek, Staffordshire, England. Alice died in October 1985 in Leek, Staffordshire, England. 2. John William's father, John Carter (AFN: 1FFS-ZK), was born September 23, 1862 at Meerbrook, Staffordshire, England. He was the son of Thomas and Alice Taylor Carter. John William's mother, Hannah Elizabeth Billinge (AFN: 1FFT-0P), was the daughter of Sharlotte Billinge. 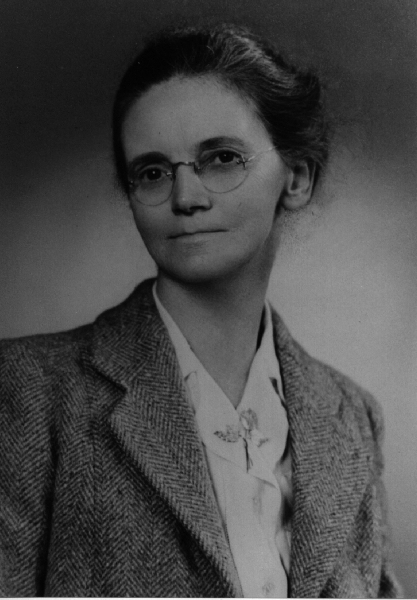 She was born May 13, 1870 at Heathylee in Longnor, Staffordshire, England. John and Hannah were married February 22, 1892 at St. Thomas Ardwick church in Manchester, Cheshire, England. John died February 26, 1927 in Cheddleton, Staffordshire, England. Hannah passed away December 4, 1931 in Cheddleton, Staffordshire, England. John and Hannah are buried in Meerbrook, Staffordshire, England. 3. Alice's father, William Amos Hulme (AFN: 1FFT-1V), was born January 24, 1869 at Rushton Spencer, Staffordshire, England. William was the son of Amos (AFN: 1FFT-6Q) and Mary Ann Bailey Hulme (AFN: 1FFT-7W). Alice's mother, Dinah Brown Hulme (AFN: 1FFT-22), was born January 18, 1861 at Ladderedge in Leek, Staffordshire, England. Dinah was the daughter of Job (AFN: 1FFT-83) and Hannah Clowes Brown (AFN: 1FFT-98). William Amos Hulme and Dinah Brown were married September 3, 1890 at All Saints' Church in Leek, Staffordshire England. Dinah died April 25, 1909 in Longsdon, Staffordshire, England. William Amos Hulme died December 18, 1954 in Longsdon, Staffordshire, England. Please visit the Carter and Hulme Family Genforums.